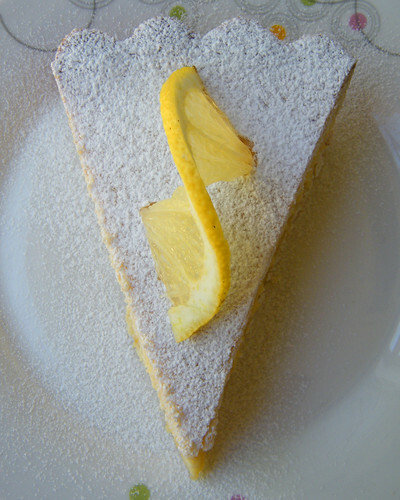 When perusing the case filled with assorted tarts and cakes at the neighborhood bakery just around the corner, the torta de ricota, with its snow-white layer of powdered sugar and enticing fluted crust, never fails to attract my attention. 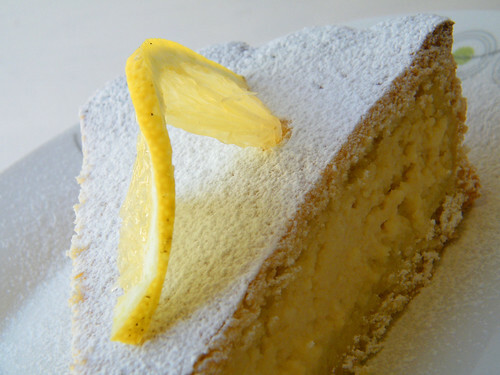 The Argentine dessert torta de ricota, known as ricotta pie in English, features a sweet, rich filling of ricotta cheese flavored with lemon and vanilla between two layers of crumbly shortcrust dough. The Argentine version of this pie, an import originally hailing from Italy, invariably calls for a double crust, unlike Italian-American versions that I have seen that bear more of a resemblance to a cheesecake or single-crust pie. Although I adore dulce de leche, its recurring role in Argentine pastries and cakes can grow tiresome (believe it or not!). When my taste buds are suffering from dulce de leche overload, torta de ricota makes for a particularly attractive option, especially during the summer months when I tend to gravitate toward desserts with a hint of citrus. Place the flour, baking powder and salt in a large bowl. Add the butter, and using a pastry blender or two knives, cut the butter into the flour until the mixture resembles coarse meal. Add the eggs, powdered sugar, vanilla extract and lemon zest, and mix to form the dough. Turn the dough out onto a lightly floured surface and knead until just combined. Shape the dough into a ball, and cover in plastic wrap. Refrigerate the dough for about 30 minutes. For the filling, in a medium bowl, place the ricotta, egg yolks, vanilla extract, lemon zest, lemon juice, cornstarch and sugar. Mix well to incorporate the ingredients. Remove the dough from the refrigerator, and divide it in two. Lightly flour both the rolling pin and work surface, and roll out each piece of dough into a disc just slightly larger than the tart pan. To transfer the dough to the tart pan, carefully roll the dough around the rolling pin, and unroll it onto the top of the tart pan. Gently press the dough into the bottom and up the sides of the pan. Pour the filling into the prepared tart pan. Carefully place the second disc of dough over the filling. Press the edges of the dough into the rim of the tart pan, removing any excess. Place the tart pan on a baking sheet. Bake until the top of the pie is light golden brown, about 40 minutes. Remove from the oven, and allow the pie to cool for 5 to 10 minutes before removing it from the pan. Let the pie continue to cool at room temperature, and then place it in the refrigerator for at least two hours (tastes best when served chilled). Dust the pie with powdered sugar just before serving.